Two FOX series, ‘Alcatraz’ & ‘The Finder,’ have been cancelled after their first season runs. Alcatraz was produced by J.J. Abrams, who has been intimately involved in such hits as ‘Alias, ‘The Fringe’ and ‘Lost.’ Alcatraz had a ‘Lost’ like feel about it, with lots of mystery and an unfolding story line. The show starred Sarah Jones as Rebecca Madsen and Jorge Garcia (of ‘Lost’ fame) as Doctor Diego Soto. The show followed their attempts to recover inmates and guards who vanished from Alcatraz prison in 1963… and were reappearing (and creating havoc) in the present. The show started out strong, with 10.5 million viewers tuning in to the 2 hour premier. But by the end of the season, viewership had fallen to 4.75 million. The final show ended with a dramatic cliffhanger. An apparently mad, time-traveling, scientist appears and may have the answers as to what is happening… The end. 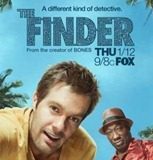 ‘The Finder’ was a quirky show that spun off from another FOX show, ‘Bones.’ It starred Geoff Stults as Walter Sherman. Sherman happened to have an uncanny knack for finding things. The show was entertaining, but perhaps not compellingly so, as the viewership never solidified. The number of people tuning in ranged from 6.5 million to a season high of 8.4 million during the first few episodes. It then trailed off to 3.8 to 4 million during the last few shows of the season. Apparently the one thing ‘The Finder’ couldn’t find was an audience.